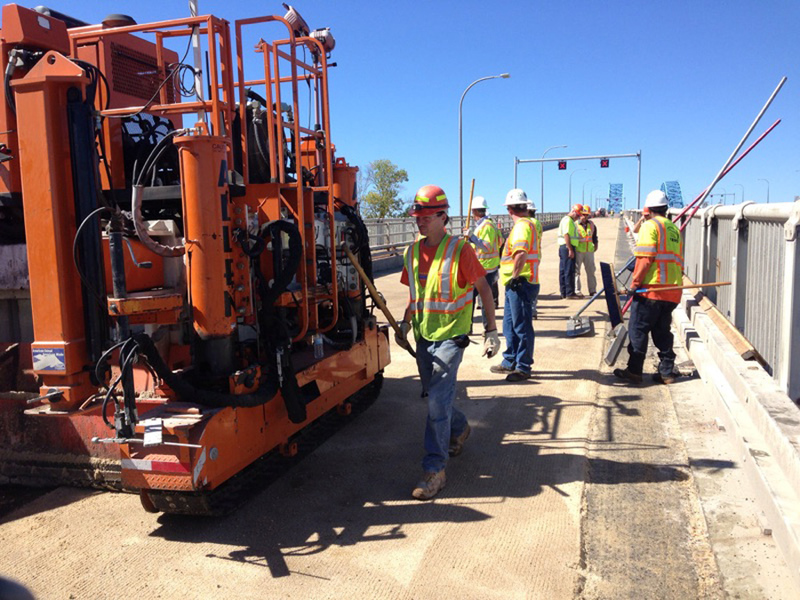 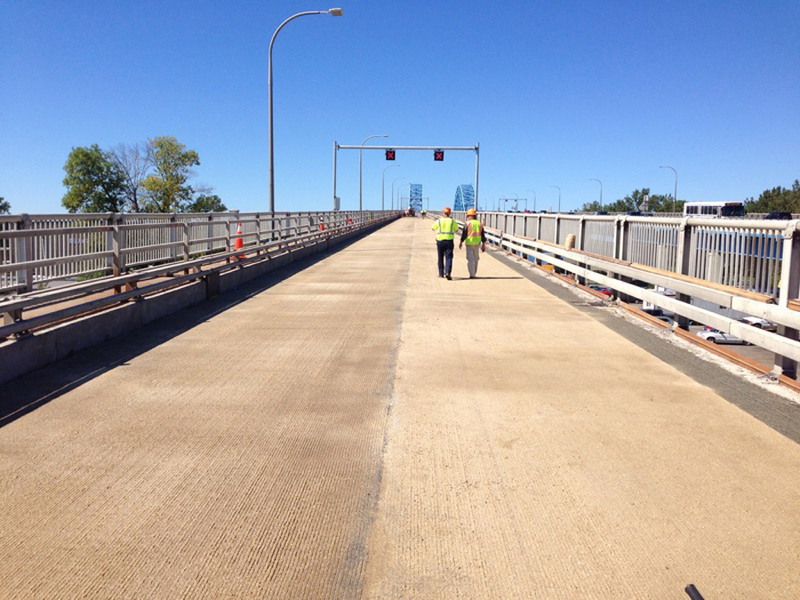 This $1.65 million polyester project took place on the South Grand Island Bridge in Tonawanda, New York. 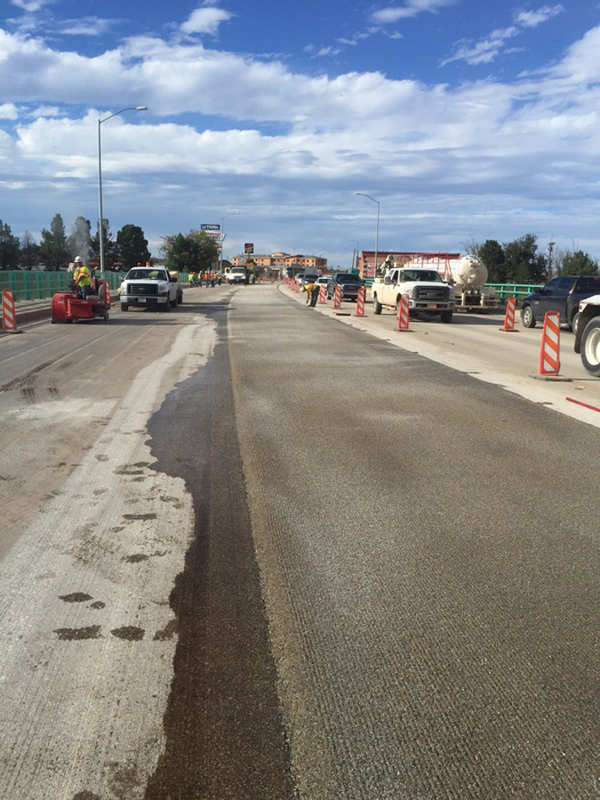 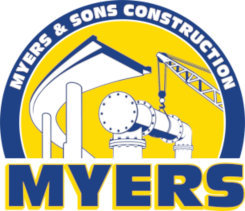 Myers and Sons Construction LP was subcontracted by Union Concrete to place a 3/4” lift of polyester concrete over the entire structure while safely diverting traffic onto the neighboring bridge during construction. 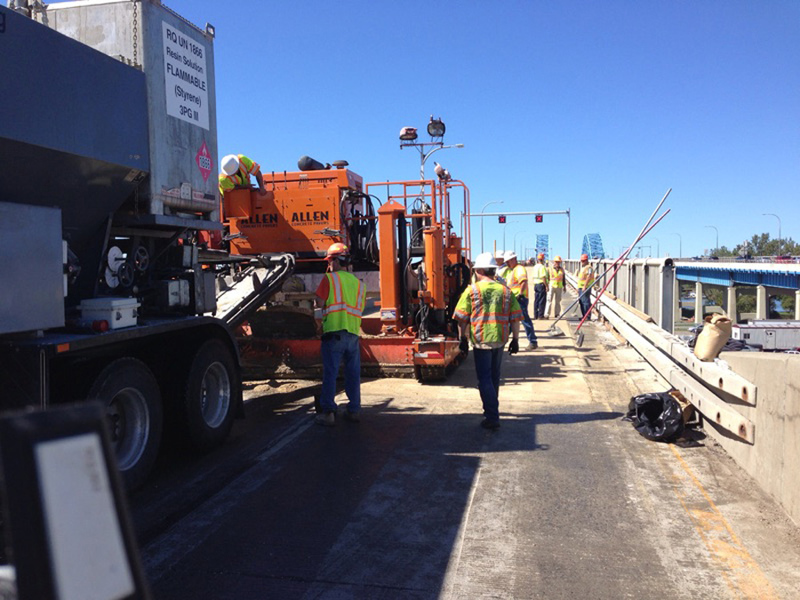 At the conclusion of the project, a total of 530 CY of polyester concrete was successfully placed and no loss time accidents occurred during the overlay operations.